NoteVault lets you stay on job sites and still get your construction reports done by recording all your notes. Notes and observations are then converted into a daily report output, which automatically uploads to Document Management within Autodesk® BIM 360®. 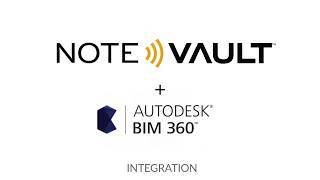 NoteVault is a daily note taking and professional communication software perfect for recording your notes and observations - great for construction, contractor jobs, crew and projects of all sizes. NoteVault's professional staff will log your speech into Word documents. Add photos to your log book and get daily reports sent to your team and uploaded to BIM 360 with our software platform for easy project management. Many of the top ENR construction companies are NoteVault customers.